Eric Michielssen will step down from his position as Associate Vice President for Research – Advanced Research Computing on December 31, 2018, after serving in that leadership role for almost six years. Dr. Michielssen will return to his faculty role in the Department of Electrical Engineering and Computer Science in the College of Engineering. 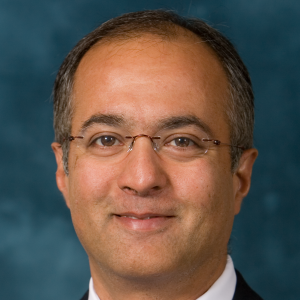 Under his leadership, Advanced Research Computing has helped empower computational discovery through the Michigan Institute for Computational Discovery and Engineering (MICDE), the Michigan Institute for Data Science (MIDAS), Advanced Research Computing-Technology Services (ARC-TS) and Consulting for Statistics, Computing and Analytics Research (CSCAR). In 2015, Eric helped launch the university’s $100 million Data Science initiative, which enhances opportunities for researchers across campus to tap into the enormous potential of big data. He also serves as co-director of the university’s Precision Health initiative, launched last year to harness campus-wide research aimed at finding personalized solutions to improve the health and wellness of individuals and communities. The Office of Research will convene a group to assess the University’s current and emerging needs in the area of research computing and how best to address them. The new Graduate Certificate in Computational Neuroscience will help bridge the gap between experimentally focused studies and quantitative modeling and analysis, giving graduate students a chance to broaden their skill sets in the diversifying field of brain science. “The broad, practical training provided in this certificate program will help prepare both quantitatively focused and lab-based students for the increasingly cross-disciplinary job market in neuroscience,” said Victoria Booth, Professor of Mathematics and Associate Professor of Anesthesiology, who will oversee the program. To earn the certificate, students will be required to take core computational neuroscience courses and cross-disciplinary courses outside of their home departments; participate in a specialized interdisciplinary journal club; and complete a practicum. Cross-discplinary courses will depend on a student’s focus: students in experimental neuroscience programs will take quantitative coursework, and students in quantitative science programs such as physics, biophysics, mathematics and engineering will take neuroscience coursework. The certificate was approved this fall, and will be jointly administered by the Neuroscience Graduate Program (NGP) and the Michigan Institute for Computational Discovery and Engineering (MICDE). For more information, visit micde.umich.edu/comput-neuro-certificate. Enrollment is not yet open, but information sessions will be scheduled early next year. Please register for the program’s mailing list if you’re interested. The Graduate Certificate in Computational Discovery and Engineering, which is focused on quantitative and computing techniques that can be applied broadly to all sciences. The Graduate Certificate in Data Science, which specializes in statistical and computational methods required to analyze large data sets. The Ph.D in Scientific Computing, intended for students who will make extensive use of large-scale computation, computational methods, or algorithms for advanced computer architectures in their doctoral studies. This degree is awarded jointly with an existing program, so that a student receives, for example, a Ph.D in Aerospace engineering and Scientific Computing. University of Michigan researchers and IT staff wrapped up a successful Supercomputing ‘18 (SC18) in Dallas from Nov. 11-16, 2018, taking part in a number of different aspects of the conference. SC “Perennial” Quentin Stout, U-M professor of Electrical Engineering and Computer Science and one of only 19 people who have been to every Supercomputing conference, co-presented a tutorial titled Parallel Computing 101. And with the recent announcement of a new HPC cluster on campus called Great Lakes, IT staff from Advanced Research Computing – Technology Services (ARC-TS) made presentations around the conference on the details of the new supercomputer. U-M once again shared a booth with Michigan State University booth, highlighting our computational and data-intensive research as well as the comprehensive set of tools and services we provide to our researchers. Representatives from all ARC units were at the booth: ARC-TS, the Michigan Institute for Data Science (MIDAS), the Michigan Institute for Computational Discovery and Engineering (MICDE), and Consulting for Statistics, Computing and Analytics Research (CSCAR). The booth also featured two demonstrations: one on the Open Storage Research Infrastructure or OSiRIS, the multi-institutional software-defined data storage system, and the Services Layer At The Edge (SLATE) project, both of which are supported by the NSF; the other tested conference-goers’ ability to detect “fake news” stories compared to an artificial intelligence system created by researchers supported by MIDAS. Tutorial: Parallel Computing 101: Prof. Stout and Associate Professor Christiane Jablonowski of the U-M Department of Climate and Space Sciences and Engineering provided a comprehensive overview of parallel computing. Introduction to Kubernetes. Presented by Bob Killen, Research Cloud Administrator, and Scott Paschke, Research Cloud Solutions Designer, both from ARC-TS. Containers have shifted the way applications are packaged and delivered. Their use in data science and machine learning is skyrocketing with the beneficial side effect of enabling reproducible research. This rise in use has necessitated the need to explore and adopt better container-centric orchestration tools. Of these tools, Kubernetes – an open-source container platform born within Google — has become the de facto standard. This half-day tutorial introduced researchers and sys admins who may already be familiar with container concepts to the architecture and fundamental concepts of Kubernetes. Attendees explored these concepts through a series of hands-on exercises and left with the leg-up in continuing their container education, and gained a better understanding of how Kubernetes may be used for research applications. Todd Raeker, Research Technology Consultant for ARC-TS, went to the Globus booth (4201) to talk about U-M researchers’ use of the service. Birds of a Feather: Meeting HPC Container Challenges as a Community. Bob Killen, Research Cloud Administrator at ARC-TS, gave a lightning talk as part of this session that presented, prioritized, and gathered input on top issues and budding solutions around containerization of HPC applications. ARC was a sponsor of the Women in HPC Reception. See the event description for more details and to register. Sharon Broude Geva, Director of ARC, gave a presentation. Birds of a Feather: Cloud Infrastructure Solutions to Run HPC Workloads: Bob Killen, Research Cloud Administrator at ARC-TS, presented at this session aimed at architects, administrators, software engineers, and scientists interested in designing and deploying cloud infrastructure solutions such as OpenStack, Docker, Charliecloud, Singularity, Kubernetes, and Mesos. Jing Liu of the Michigan Institute for Data Science, participated in a panel discussion at the Purdue University booth. Follow ARC on Twitter at https://twitter.com/ARC_UM for updates.